Here they are! 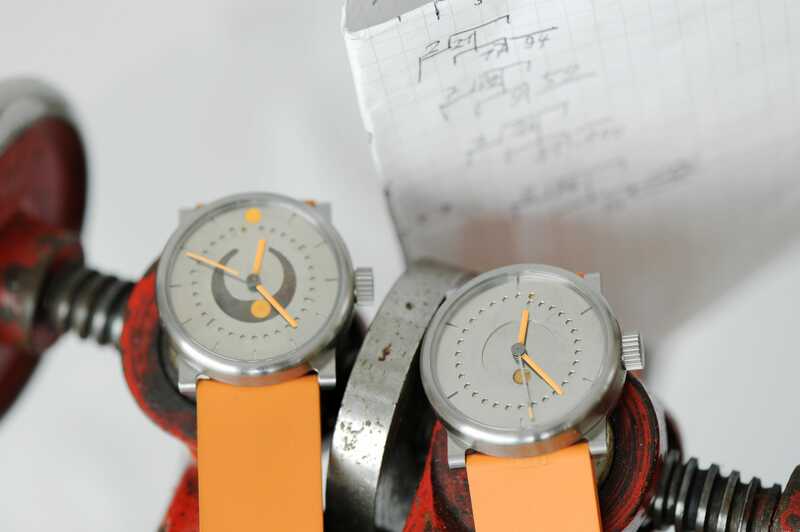 These two projects are due to mature into the next ochs und junior watches. 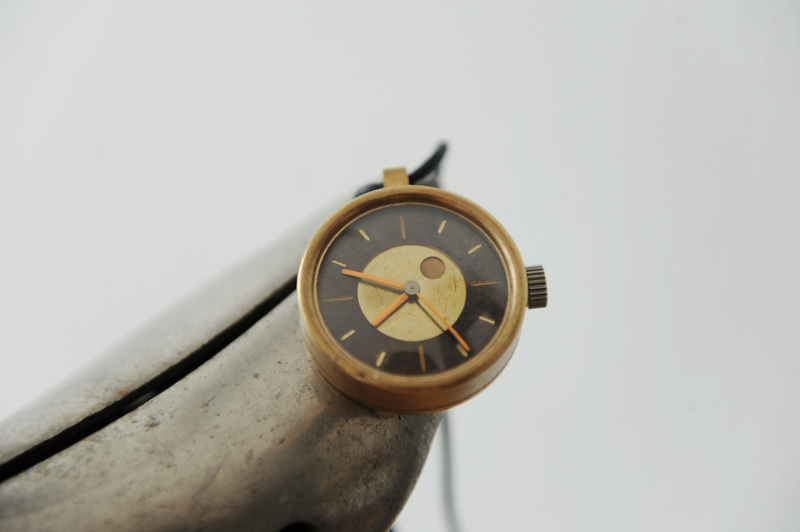 Left: the world’s most accurate moon phase indicator ever integrated within a wrist watch. Right: the intellectual moon phase indicator – showing its correct position vis-a-vis the sun. 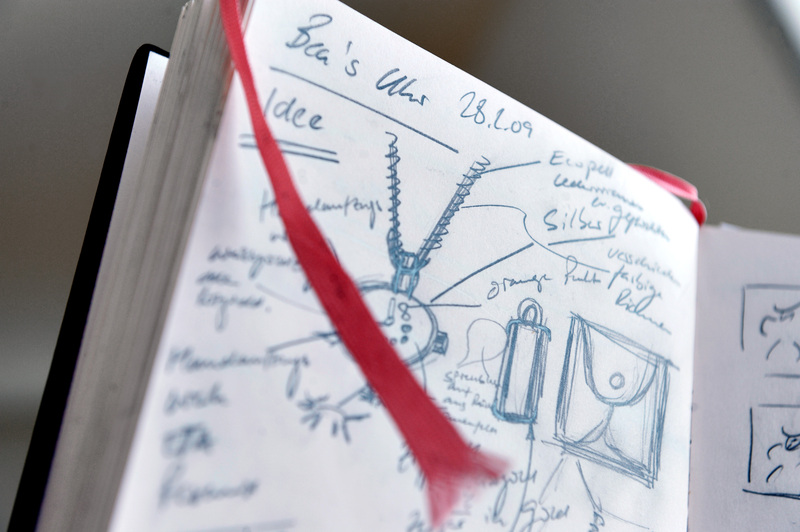 On 28 February 2009 Bea mentioned she’d love a fob watch. A patinated silver one that hung from a long hand-braided leather necklace all the way down to her belly button. 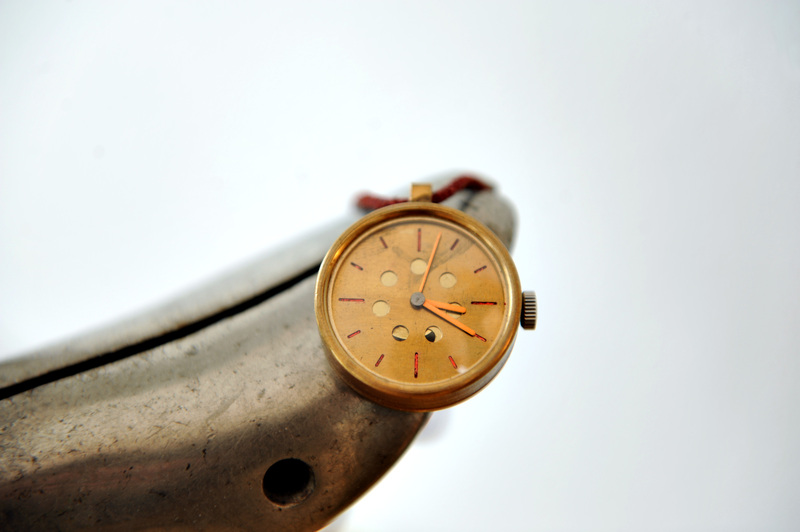 It made sense to base the idea on the same calibre as that of the settimana junior – the proven ETA 2824. We liked the idea of getting as much out of the movement as possible. 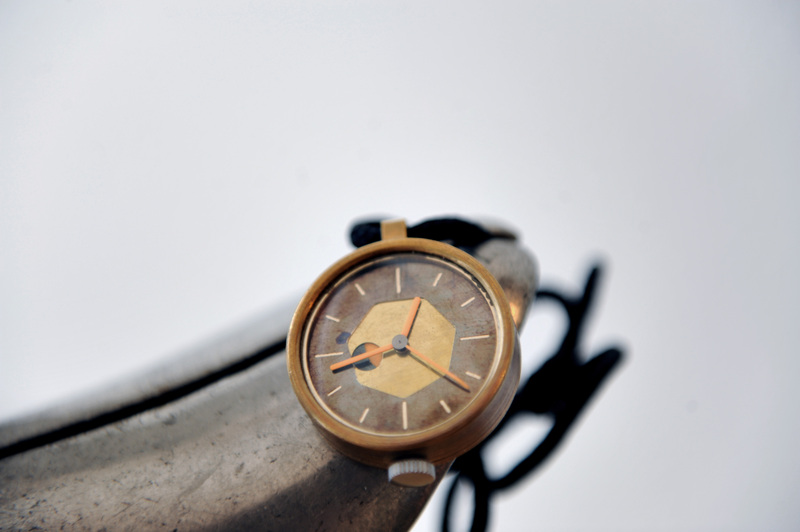 A ladies’ watch needs its own time horizon. Ludwig chose that of a lunar orbit (a “lunation”), which is around 29.5 days. 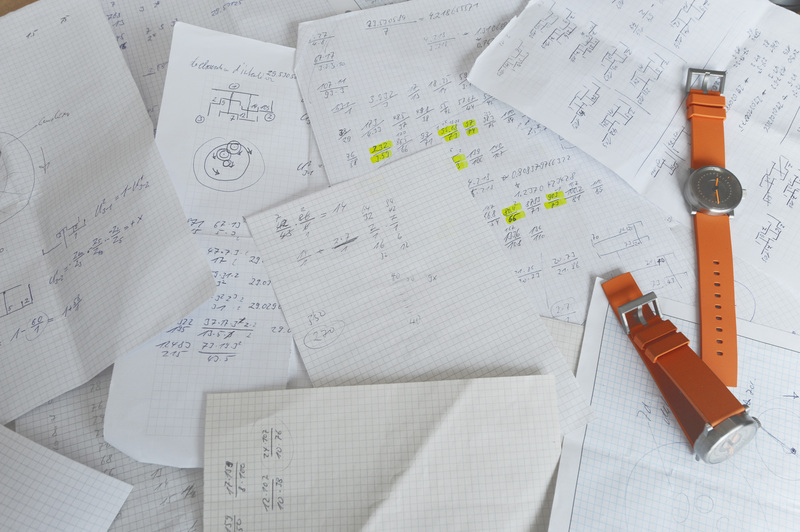 He incorporated the moon into the weekday indicator – step 1. Setting the correct lunation on the appropriate weekday on this early prototype required anything up to 200 rotations of the hands – not very practical! Attention therefore shifted to indicating the correct phase of the moon; the seven-way division of the days was only hinted at – step 2. A disk turns beneath the brass-coloured centre and indicates the true size of the moon. The hour hand indicates the direction of the sun. The position of sun and moon in the sky are correctly displayed. The full moon (as shows) occurs when the moon is exactly in line with the hour hand and fills the aperture. The new moon occurs when the hour hand is exactly on top of the empty aperture. Step 3 – the astronomically correct moon phase. We sometimes feel that the moon influences the way we feel, our moods. 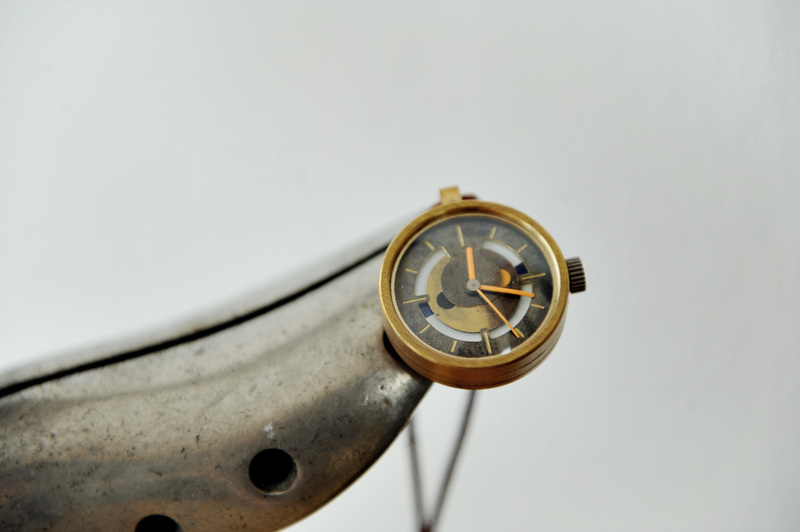 Ludwig experimented with a display that showed the moon phase as well as a user-settable segment of the 30 days. However this fourth step was soon rejected. 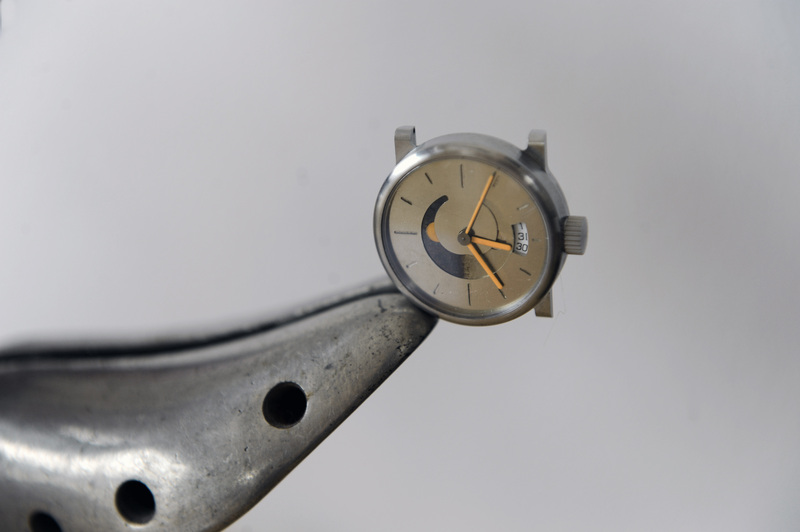 This fifth step is visually similar to the preceding one, with the moon moving within a sickle-shaped aperture in the titanium case of the settimana junior. 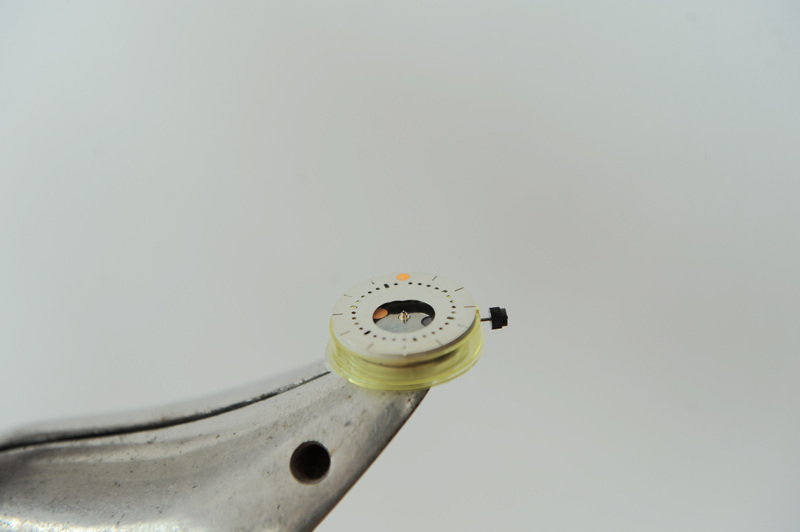 And because the ETA 2824 powers a date indicator, Ludwig leveraged it for this prototype. A date sporting digits? Of course not! ochs und junior displays the date using a dot and its position in apertures. And then came the challenge: the date disk in version five was set too deep to allow the dot to be seen through its apertures. The design had to be more compact at the centre – here’s how it came out at first in step 6. 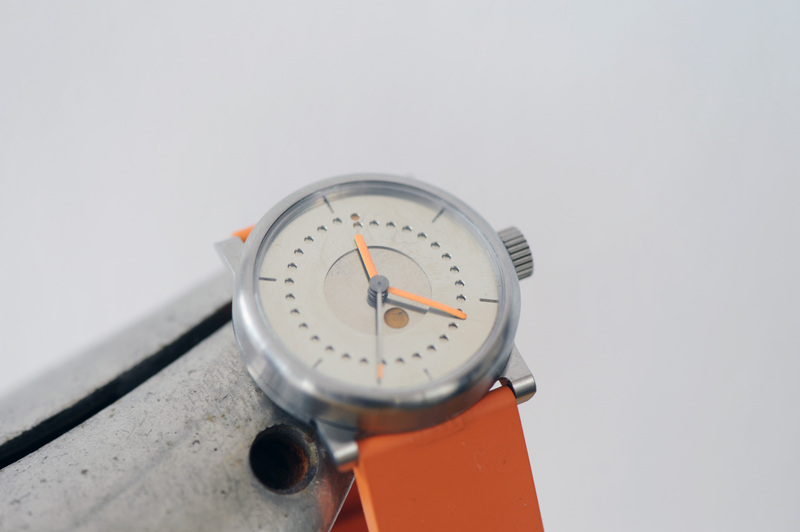 We’re also making this one in a 36 mm case without date or 39 mm with the characteristic orange dot date indicator. 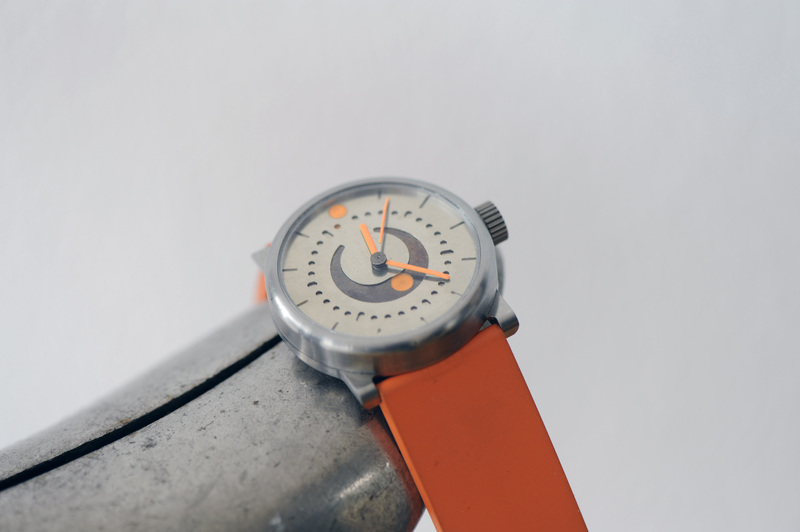 This model is a development of the third prototype (see above) and encompasses a new way of displaying the date.